When Nate Wildfire, assistant director of Burlington's Community & Economic Development Office, began asking people in 2013 how they felt about parking in the city, he soon learned that "parking is emotional." Tourists got frustrated when they couldn't find public garages. Business owners got annoyed about constantly having to make change so motorists could feed parking meters. And their customers griped when they couldn't find nearby parking. Wildfire and other city planners made another curious discovery: Many public perceptions about parking in Burlington — notably, that there was a lack of available spaces — were wrong. On any given day, hundreds of parking spots weren't occupied. Officials concluded that what Burlington needed wasn't more parking but smarter parking. 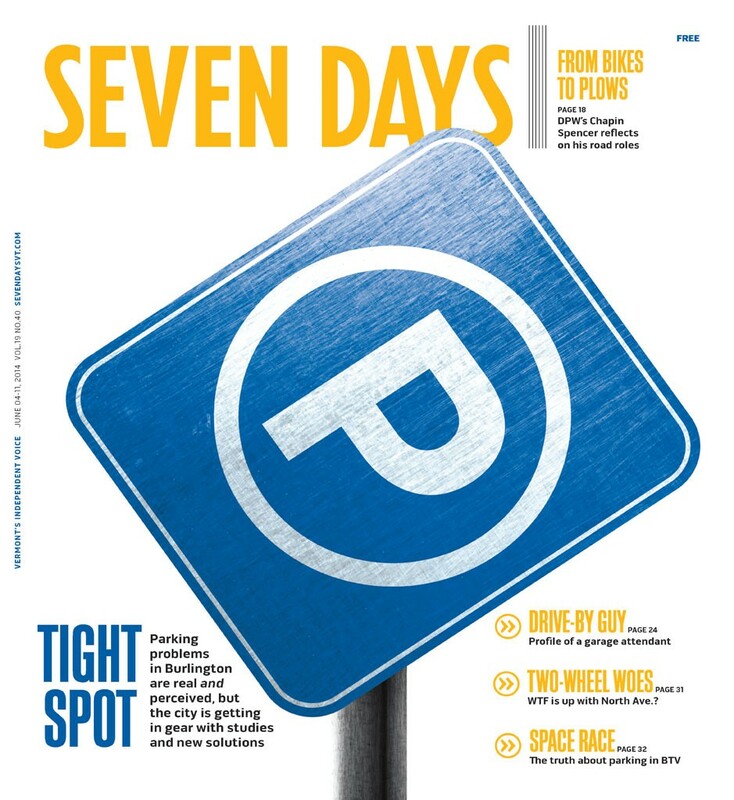 So in the summer of 2013, Wildfire — along with Kelly Devine, executive director of the Burlington Business Association, and Chapin Spencer, the city's public works director — assembled a coalition of public and private entities to tackle Burlington's parking issues in a holistic way. From those conversations, the city council established a Downtown Parking Advisory Committee. Next, the city commissioned several parking studies: one to assess the state of Burlington's publicly owned garages; another to analyze residential parking issues; and a third to explore new approaches for moving commuters in and out of downtown more efficiently. The city also explored high-tech solutions, such as parking meters that can be operated with credit cards and cellphones. Ultimately, the goal was to create a comprehensive parking system that was environmentally and fiscally sustainable. UPDATE: Starting on November 1, city workers replaced dozens of coin-operated downtown parking meters with new smart meters that accept both coins and credit cards — and display operating instructions in different languages. The city also raised on-street parking fees and extended nighttime enforcement until 10 p.m. to boost parking turnover. Initially, the smart meter rollout had snafus. Some vertically challenged drivers complained that the meter heads were too tall for them to read; public works fixed the problem by shortening the poles. Since then, says the business association's Devine, "The response from the business community has been overwhelmingly positive." Those changes are just the tip of the iceberg. At a November 19 meeting attended by about 100 people in Burlington City Hall, independent parking consultants presented the findings of their studies, offered recommendations and took suggestions from the public. One of the more significant recommendations was to create a centralized parking district that would standardize rates, policies and signage citywide. Spencer acknowledged that some policy recommendations will "engender community conversations" — read: generate controversy. Suggestions included charging city residents for on-street parking permits; adding parking enforcement on Sundays; varying rates by time of day, week and month; eliminating the mandate that developers build off-street parking; and creating financial incentives for owners to share their private spaces with the public. "These are all manageable problems," as Spencer pointed out. "And they can all be changed." Expected next year: Smartphone apps to pay for and add time to parking meters remotely. The original print version of this article was headlined "Smart Parking? New Meters, New Ideas for Queen City Spaces"